Every few years, the Federal Aviation Administration has to be authorized so that it can receive funding and do its job. The U.S. Congress is currently debating two major authorization bills filled with provisions related to drones. Either of these bills would have a profound effect on the future of the domestic drone industry. Here’s what you need to know. The Pennsylvania Air National Guard’s 111th Attack Squadron initiated drone operations at Horsham Air Guard Station near Philadelphia. The 111th, which formerly maintained a fleet of A-10 Thunderbolts, will operate a Combat Air Patrol of MQ-9 Reapers in overseas missions. (Air Force) For more on the Air National Guard units that fly drones, click here. At Popular Mechanics, David Hambling questions whether it is reasonable to be concerned that a terrorist group might use a drone to launch a chemical attack. 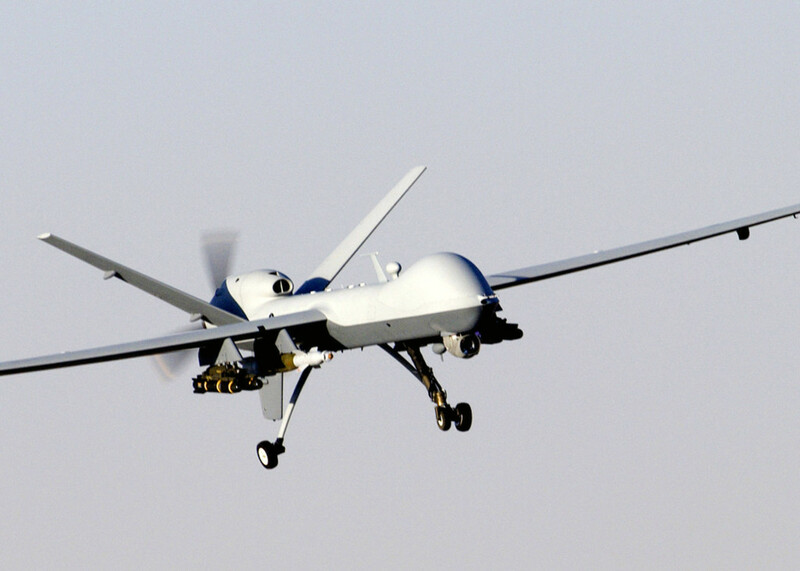 At DefenseNews, Lara Seligman takes a look at how the Air Force’s Reaper program is driving military spending on drones. For more on drones in the proposed Fiscal Year 2017 defense budget, click here. At Slate, Heather M. Roff argues that the introduction of lethal autonomous weapons may not mean that wars become less bloody. At Real Clear Defense, Andrew Poulin argues that the long-term effects of drone strikes should be taken into consideration when analyzing the targeted killing policy. At Vice, Namir Shabibi and Jack Watling examine how the U.K. helped gather intelligence on targets for U.S. drone strikes in Yemen. A report published by the Remote Control Project at the Oxford Research Group raises a number of concerns about the use of drones for targeted killing operations. At Foreign Policy, Dan de Luce and Paul McLeary argue that the recent spate of drone strikes suggest that the U.S. is once again conducting signature strikes. At the U.S. Naval Institute, Commander Brendan Stickles points out that pilots of unmanned aircraft are given greater bonuses than pilots of manned aircraft. At Red Wedge, Alakananda Mookerjee takes a look at the role that robots have played in revolutionary literature. At the Financial Times, Sarah O’Connor examines how future job seekers can avoid choosing an occupation where they could be replaced by a robot.